When families fled their homes in 1948, they took their house keys with them, confident that they would return. 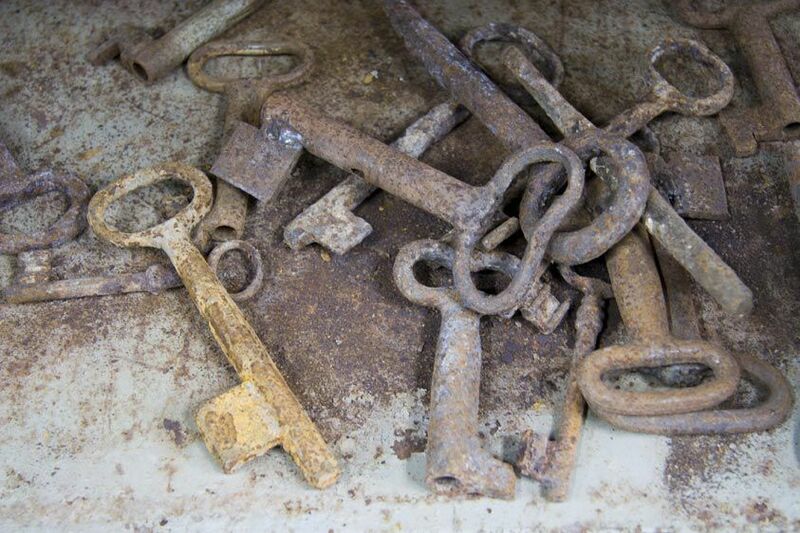 Decades later, the keys are passed down from generation to generation, a will of hope to return. 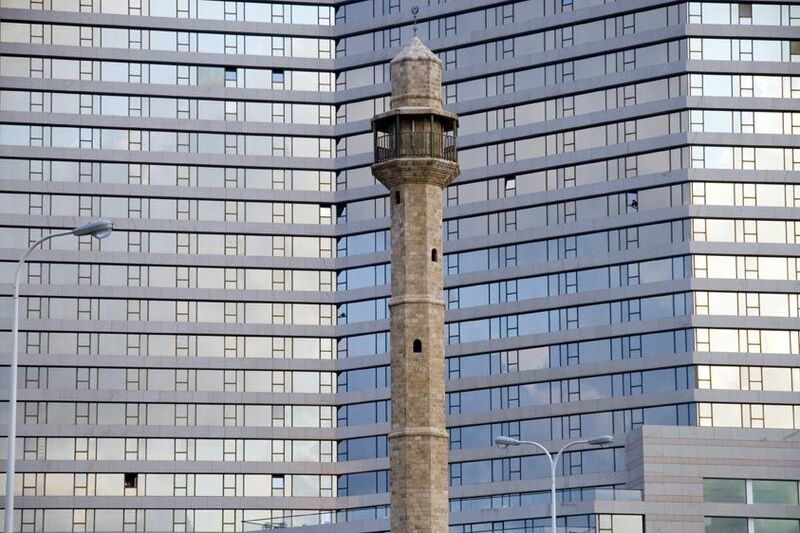 A mineret of a mosque built before 1948 is dwarfed by a new hotel in Tel Aviv. 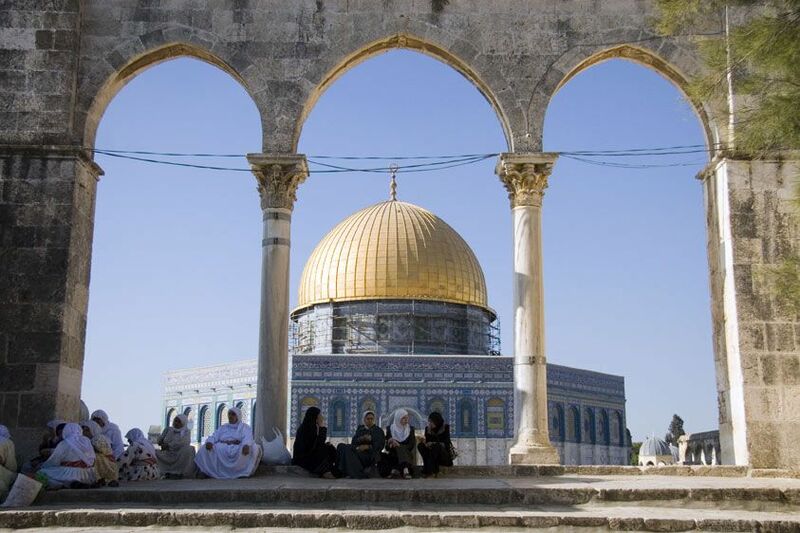 The Dome of the Rock is the third holiest site in Islam.It is located in the Arab Quarter of Jerusalem's Old City. 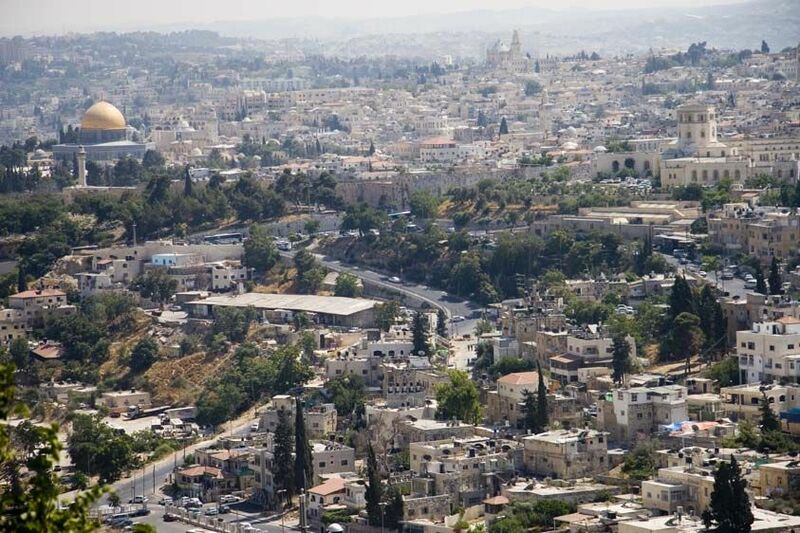 The Old City of Jerusalem is divided into quarters: Arab, Jewish, Armenian and Christian. 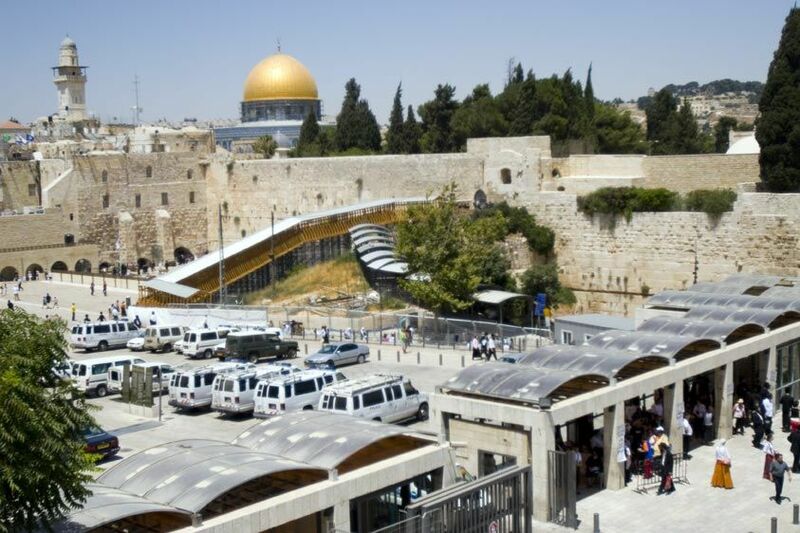 The area's most holy places for Arabs and Jews border each other: the Dome of the Rock and the Wailing Wall. The wall around East Jerusalem. The Minicipal Building in East Jerusalem is where Palestinians apply for new residency permits,apply family reunification, and pay taxes. There is an overwhelming need for services for the Palestinian community and the office does not meet the demands. 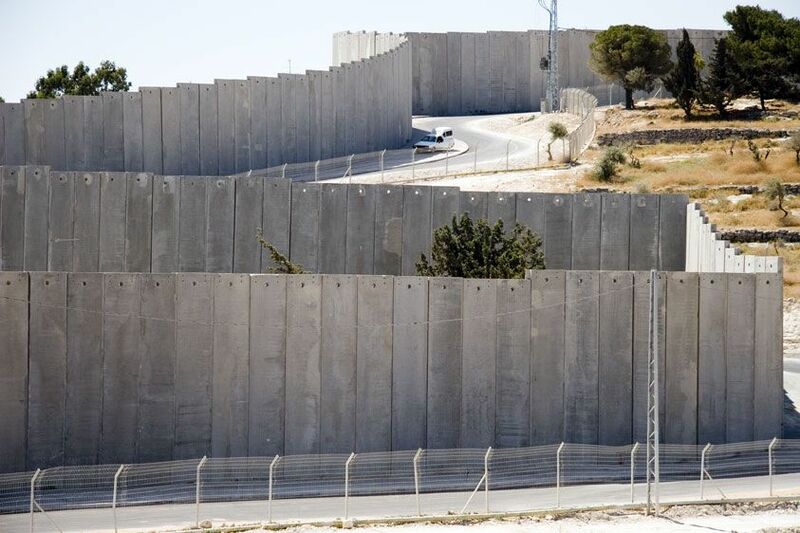 A Palestinian farmer walks around the wall that separates his agricultural area from his home. Climbing through a gate in the wall at Abu-Dis. A Palestinian woman is apprehended by Israeli soldiers in in the West Bank for not having the proper permit to traverse the area. An Israeli military watchtower and a mineret. Ramallah. Palestinians must show IDs and permits when traveling from area to area. A Palestinian man waits to be called to show his ID and permit to an Israeli soldier at the Kalandia checkpoint. Palestinians detained by the roadside wait to have their IDs and permits checked by an Israeli soldier. An Israeli soldier checks Palestinian IDs while Western tourists walk through the passage to Bethlehem. Since 1967, Israel has demolished 10,000 Palestinian homes. Since September 2000, Israel has demolished 4,000 Palestinian homes, leaving 30,000 people homeless. Families often live in tents near their demolished homes while they rebuild. A water tank is the minimal resource needed to maintain domesticity at a wreckage site. Settlement supporters call the areas 'neighborhoods.' The Israeli government offers subsidies to immigrants to live there. They support a lifestyle comparable to Western suburban life to residents who maynot otherwise afford it. Settlers comprise 20 percent of the West Bank and consume 80 percent of the water. In the summer when water is less abundant, Palestinians often conserve by washing less frequently and refraining from flushing the toilet. A Bedouin in the Negev desert siphons water. The Most Negev Bedouins are in 'unrecognized villages,' which means they do not receive social services. Apartment complexes in a Tel Aviv suburb. The Israeli Jewish birthrate is not rising as quickly as the Palestinian birthrate. Therefore, Jewish immigration to Israel is relied upon to maintain Jewish majority. Bedouin children in the Northern West Bank live in simple concrete structures in a village without social services. The once bustling Palestinian corridor was a marketplace and destination for International tourists. Now most shops remained closed. The decrease in tourism in the territories devastates the Palestinian economy. Generations of Palestinians grow up in circumstances that do not allow them proper health care, unencumbered education, or opportunities for enrichment.